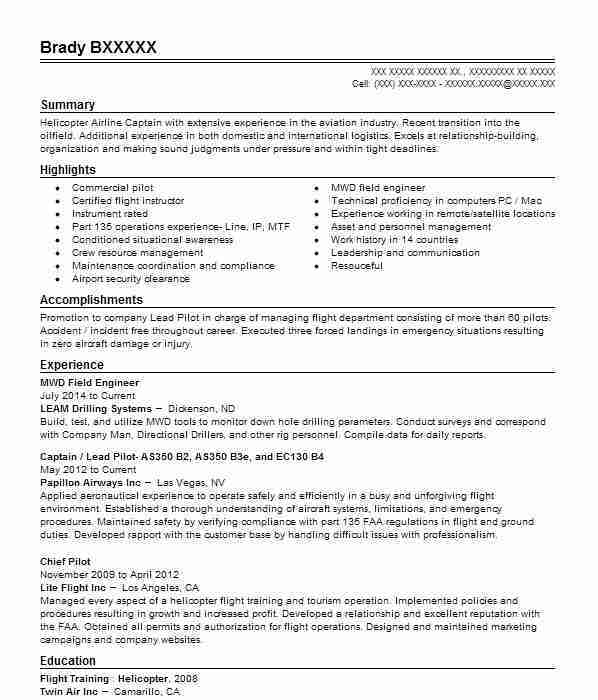 Resourceful and dependable MWD Field Engineer with a stellar record of successful surface engineering project completion. 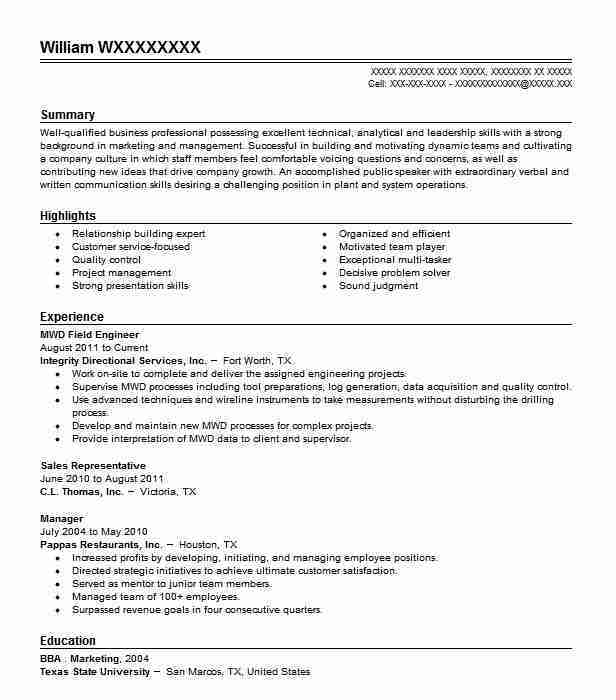 Strong multi-tasker with high skills in task organization and prioritization. Adept at functioning well independently or as part of a team. 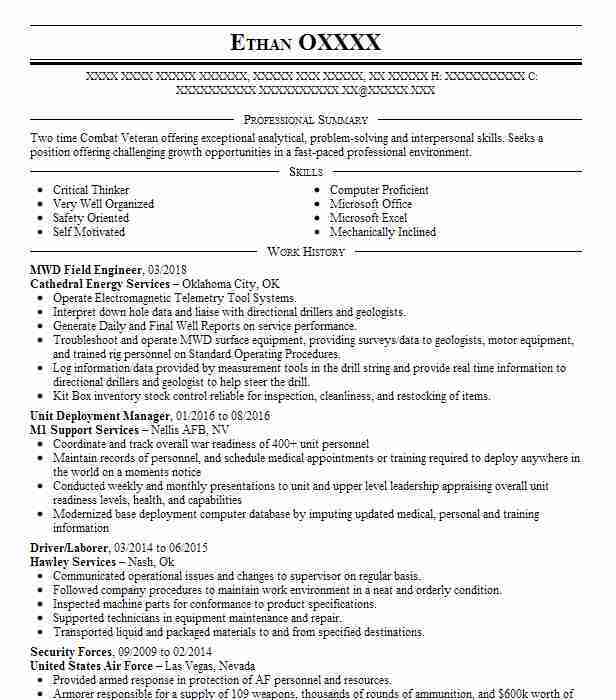 Oversaw and ensured efficiency of all onsite engineering job assignments. Determined field engineering team training needs for reporting to senior management. Ensured proper utilization and maintenance of all surface equipment. Maintained and updated all work and tool records. Prepared monthly work assignment reports for submission to senior management. Ensured adherence to company policy and safety rules for all performed work. Operated and monitored rig site MWD surface systems. Generated and submitted service performance reports for all equipment. Ensured that all work was performed in accordance with technical procedures as outlined in quality system manual. Ensured integration of all QHSE requirements in work process. Gathered and intepreted project data in coordination with geologists and drillers. There are plenty of opportunities to land a Mwd Field Engineer job position, but it won’t just be handed to you. 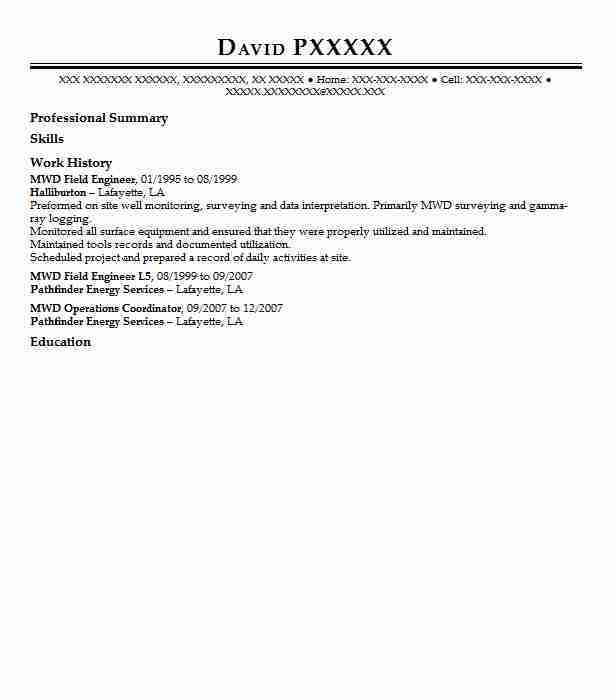 Crafting a Mwd Field Engineer resume that catches the attention of hiring managers is paramount to getting the job, and LiveCareer is here to help you stand out from the competition. 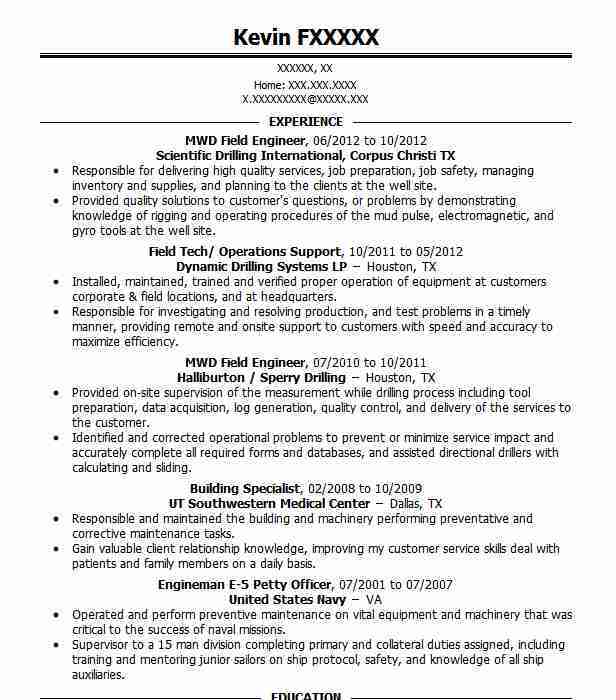 MWD Field Engineer @ Integrity Directional Services, Inc.